Welcome the Easter Bunny with this bright and lovely Personalized Happy Easter with Bunny House Flag waving in the breeze from your porch. 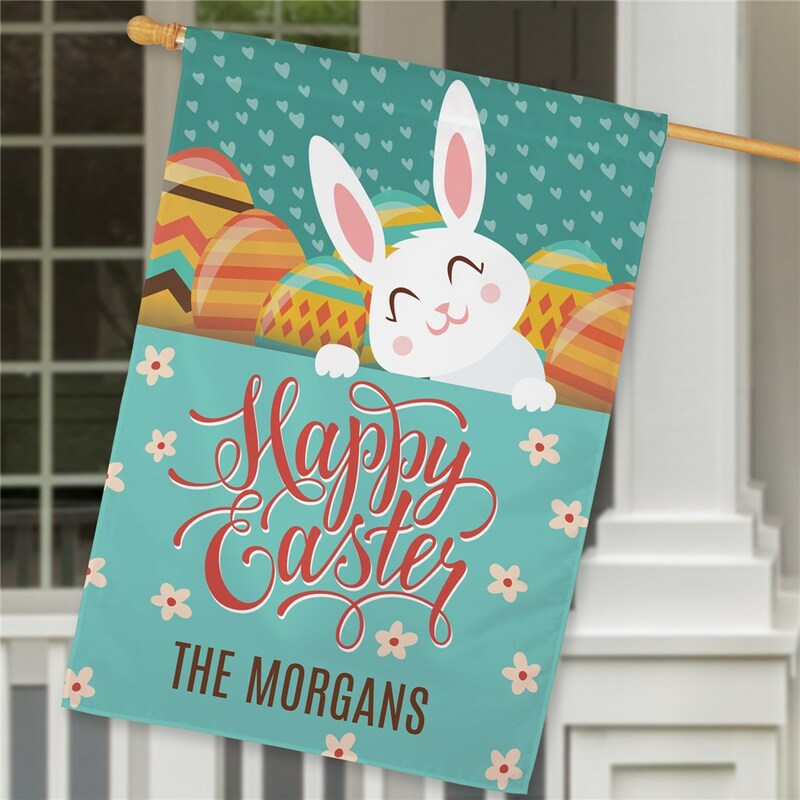 Our Personalized Easter Flags and House Flags are personalized with any custom message line. 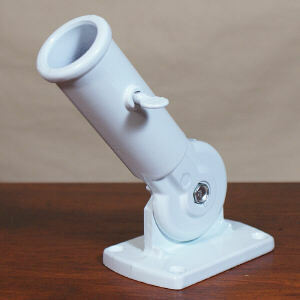 Makes a great Spring gift for Mom or Grandma! 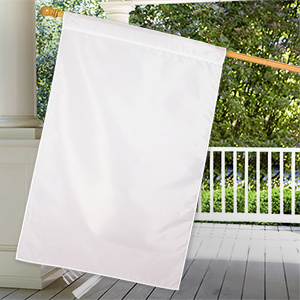 Additional Details Pretty up your home outdoors with other lovely personalized house flags and customized garden flags for occasions year round! Shop today.